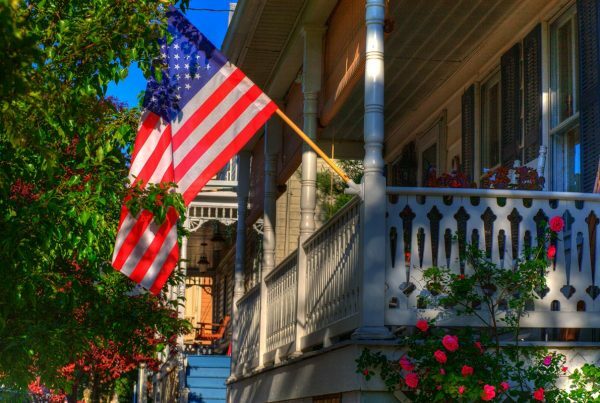 This itinerary explores Sharpsburg’s must-see sites related to the Civil War, as well as the C&O Canal Towpath. From the house, you can take a 0.25-mile footpath through woods down the slope to the canal towpath. Or by car, foot, or bike you can exit the main gate and cross Shepherdstown Pike (MD 34); whichever your mode, use caution when crossing. If you take the trail, turn left when you reach the towpath and go under the bridge to nearby Lock 38. Here, the small community of Bridgeport sprang up around the ferry crossing. John Blackford owned a hotel and tavern to accommodate locals and travelers. A few old buildings and foundations remain. There’s room for a few cars to park here, but you’ll find a larger parking area just downstream at towpath milepost 72.8. Spanning the river between the current railroad trestle and Shepherdstown Pike are two sets of old stone piers, remnants of 19th-century bridges that once carried rail and carriages between Shepherdstown and Sharpsburg. At canal milepost 72.5 you can see the remains of one of only three river locks on the canal. Canal boats used the lock to access the Potomac River and cross to Shepherdstown. During the Civil War troops often traded volleys across the river and canal; smaller battles erupted here and there along the banks. Close your eyes and imagine the sound of artillery echoing through the river valley, ordinance splashing in the water and exploding on shore, tree branches cracking under fire. The canal was on Federal territory, and Confederate troops often disrupted canal operations by confiscating boats, destroying locks, and raiding supply stores. Union troops waged their share of destruction, too, to keep the Rebels from seizing valuable supplies or gaining control of the C&O. About 1.5 miles downstream from the parking area was a well-used Potomac River ford, which had many names over the years: Pack Horse, Swearingen’s, Blackford’s, and Boteler’s. Because the Shepherdstown bridge was destroyed in 1861, the ford became a strategic crossing for both Federals and Rebels. Stonewall Jackson and company crossed on their way to Antietam. Following the battle, Gen. Lee’s entire army crossed back into Virginia, creating a massive bottleneck of horses, soldiers, and wagonloads of wounded. Union troops harassed them while they tried to cross, with sharpshooters stationed on the river bluffs. Soldiers also used portions of the canal, which had been drained, as breastworks. Confederates crossed here again during the Gettysburg Campaign in 1863, and Gen. Jubal Early crossed here in 1864 on his way to attack Washington, D.C. In July 1864 Union troops crossed the ford on their way to Hagerstown. The Union lost 269 soldiers of the 118th Pennsylvania, who were attacked by Gen. A.P. Hill at the ford. Continue downstream to Antietam Creek Aqueduct (about 3 miles from Lock 38). To drive, follow Canal Road. On July 5, 1864, Gen. Early’s troops blasted a portion of the aqueduct and burned several canal boats. Heading upstream from Lock 38 at Ferry Hill will take you to Killiansburg Cave Campground (canal milepost 75.7), about 3 miles. You’ll find a few small caves in the low bluffs along here, where Sharpsburg residents sought refuge during the Battle of Antietam. If you’re following the towpath, continue upstream to milepost 76.6—Snyders Landing. Stop in at Barron’s Store for cold and hot drinks, snacks, ice cream, and penny candy. Opened in the 1960s, the original owner had a small collection of C&O Canal artifacts. The store was sold in 2006 and the artifacts were donated to the National Park Service, but a few vintage pictures still hang on the walls. The store is open most weekends May–September (weather dependent). To check availability: 301-432-8726 or 410-583-5299. They also have a small selection of bike tubes, camping supplies, trail maps, first aid items, and used books, as well as a tire pump. Snyders Landing has a boat ramp and ample parking. To drive from Main St./MD 34 in Sharpsburg, turn on N. Potomac Street, go 2 blocks and turn left on Chapline St. After bearing right in the first block, Chapline changes to Snyders Landing Rd. Follow it 1.4 miles to the canal access point. Barron’s is on a little hill on the right just past Mose Circle. 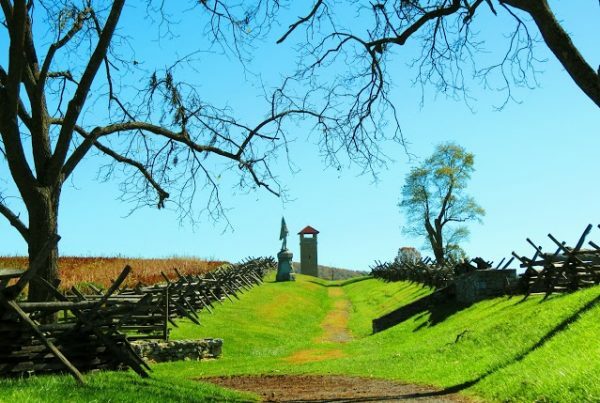 If you don’t have time to drive around the Antietam National Battlefield, at least stop by the visitor center (Labor Day–Memorial Day, 8:30 am–5 pm; Memorial Day–Labor Day, 8:30 am–6 pm; fee). Check the National Park Service website for special events that take place throughout the year. Particularly moving is the Memorial Illumination (1st Sat. in Dec.), during which 23,000 luminaries line the roads in memory of the fallen. You may also want to visit the Pry House Field Hospital Museum (18906 Shepherdstown Pike/MD 34). Learn how doctors dealt with the sometimes gruesome task of treating the battle wounded. The house was also the headquarters of both Gen. McClellan and medical director Dr. Jonathan Letterman during the Battle of Antietam. Open daily, 11 am–5 pm, Memorial Day weekend–October; weekends only, May & November, 11 am–5 pm. $2 suggested donation.